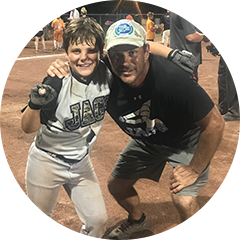 Hoover Athletic Association in central Alabama has a rich 50+ year history of serving the community with a strong focus on instilling important life lessons into every athlete. The non-profit organization totals more than 1,000 athletes participating in baseball, football, and cheerleading. Mike Plaia, president of Hoover Athletic Association, knows his role well. He’s in charge of growing the association and ensuring that each volunteer and coach knows the organization’s mission and carries it out during every practice, game, and activity. As a non-profit organization with a staff of volunteers, turnover for all positions is high — Plaia knew that because of this, he needed to create a single source of truth to create continuity for the organization and future association leaders. Plaia also knew that continuity would be tough to achieve with the organization using multiple companies to handle their registration (SI Play and TeamWall Communications), scheduling (Quickscores), and their homegrown website. SportsEngine delivered all the tools that Hoover Athletic Association needed to operate efficiently, all on one platform — creating the continuity Plaia knew they needed. SportsEngine provided a custom website, online registration, team and league management tools, and payment processing services. Plaia found that partner in SportsEngine. Of course, the website is more than just a single source of truth for the organization, it’s also a powerful marketing tool. I saved three to four thousand dollars switching to SportsEngine, and got much more robust tools than I had before.